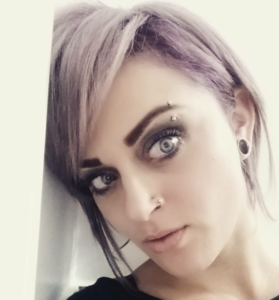 Michelle Roach has been in the hair industry since the age of 17 working as an assistant and has worked her way up to specializing in colour through training at Taz Kingsway. After graduating from Marvel Beauty in 2012, Michelle started working with Taz in January 2013. Michelle brings a professional and positive attitude to the team and her passion for her work is shown with every client that steps into her chair. When asked how she felt about working at Taz Hair Co, she said, “This is always what I’ve wanted to do. I’m just so thankful to have landed my dream job with the dream team.” We look forward to seeing what new possibilities will come from Michelle and wish her the best of luck.